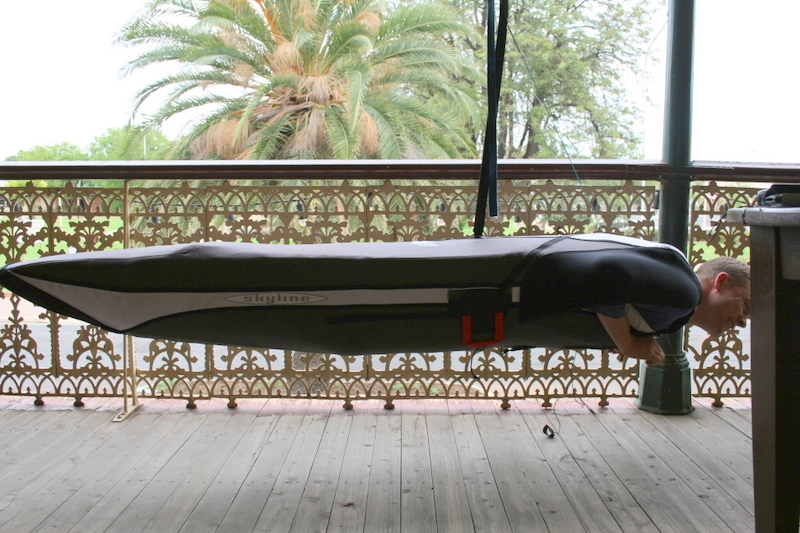 After spending a very nice vacation on the coast at the Moyes beach house Georgia and I returned to Sydney to start preparing for the competitions. 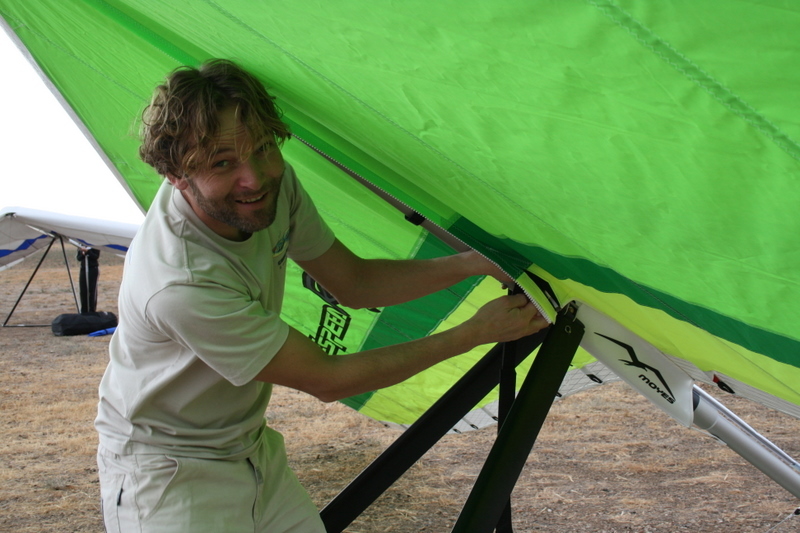 We had planned to get a big car since we are 4 pilots and driver, and I had reserved a Landcruiser that would be the ideal hanggliding car with racks and roo-bar. Unfortunately the reservation did not work out, and I had to get on the net and find a new car to rent. It turned out to be difficult as all rental companies were empty for the bigger 4WD cars during the holidays. I finally got a Subaru Forester, and picked it up in Sydney. Nils and Olav arrived on the morning of the 28. and we picked them up at the airport before heading to the factory to arrange gliders, roofracks, and all the stuff needed. We then drove up to Manilla, as we heard the weather was good up there. Michi and Gerolf had been doing some big triangles from Manilla, and Michi did a 300+ km triangle on the first day we were there. The weather turned bad the next day, and we got the message there would be towing in Forbes, so we drove south again arriving in Forbes on the 30. We will spend the days and hopefully get some practice here before the comp start. It’s a lot of small things that need to be fixed and put in place before the flying, headsets and radios are always a hassle, new instrument pods need to be adjusted, and so on, so it was good to have some time in the morning. Here’s Nils Aage fixing up his headset. 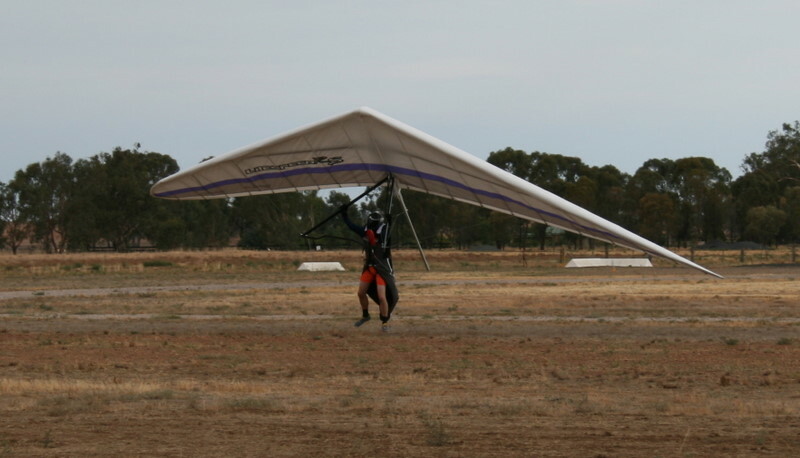 Yesterday we got a few tows in the afternoon, it was overcast and calm – good conditions to testfly the gliders. The new-years eve party at the hotel was very nice and lasted until late, so none of us were keen to fly today. Michi and Dave Sieb mucking around in the bar. Olav, Jon and me got the new Litespeed RS4, while Nils Aage had shipped his old Litespeed S from Texas to Australia. There’s a lot of changes to the RS compared to the S. Most noticeable is the new sailcut and larger frame. 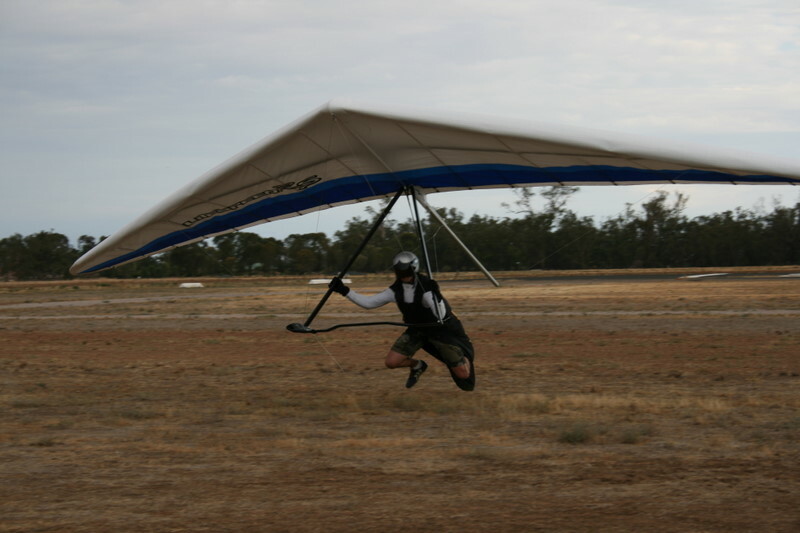 My glider is a size 4, it have the same frame as the previous size 5. That gives more wingspan, and a leaner sailcut. The sail is smoke inlaid, and has a lot more double surface than before. My RS4 have a lot of carbon on it with both inner and outer leading edge tubes as carbon fibre, as well as the sprogs and most of the battens. I only got two test flights on it, but first impressions are very good. All the pilots I’ve talked to have been very positive about the new glider, looks like another winner. I’m really looking forward to flying this one. Me on landing after the first flight. I got a new Skyline Zero Drag Full Race harness just before I went to Australia. The harness feels very nice, with lots of nice details, and looks just right. Here’s me hanging around on the hotel veranda, I need to get smaller heels on my shoes as they are sticking up a little. Weather is a bit unstable, it’s not been any rain here this year, but as soon as the hangglider pilots come into town it starts pouring down. Should be very good post-frontal conditions though. I hope we can get a good flight tomorrow. Happy New Year to all of you in Autralia. Have a nice stay, and good flights ! I envy you so much right now! Australia and a new wing! 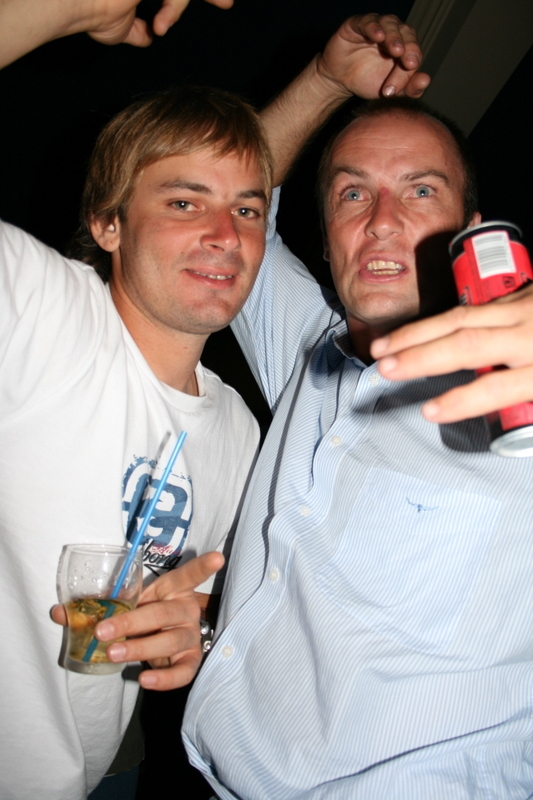 :p Show the aussies what the norwegians are good at….drinking!